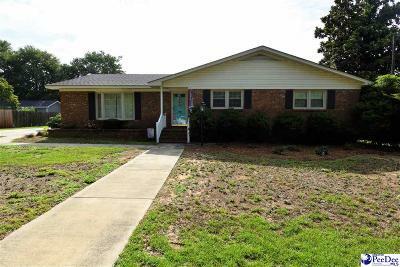 Great 3 bedroom 2 bathroom ranch style home. Ready to move in. Royall Elementary, Sneed Middle, and West Florence High Schools. This home will provide much comfort to it's new owner. This home has a fairly new two car garage built onsite and connected to the house via a large covered patio. Enter into a large Florida room. Three large bedrooms with spacious closet space. Other things include: New Dual Pane Windows, and Tankless Water Heater. This home is well insulated and very energy efficient. Must see today!